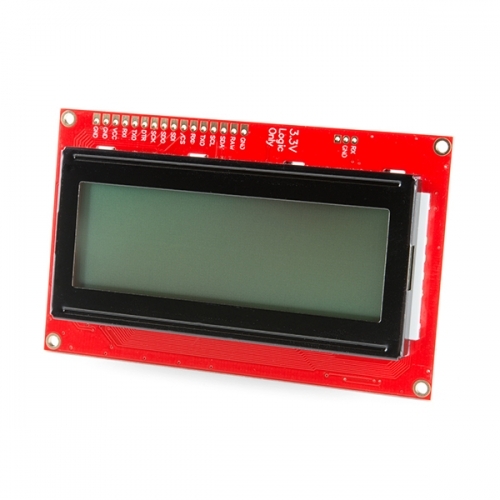 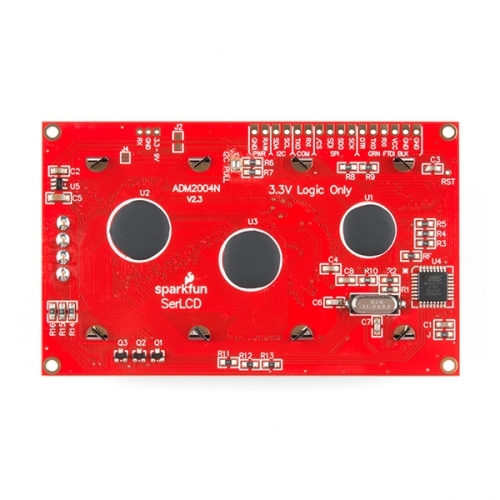 The SparkFun SerLCD is an AVR-based, serial enabled LCD that provides a simple and cost effective solution for adding a 20x4 Black on RGB Liquid Crystal Display into your project. We’ve seriously overhauled the PCB design on the back of the screen by including an ATmega328P that handles all of the screen control, meaning a backpack is no longer needed! 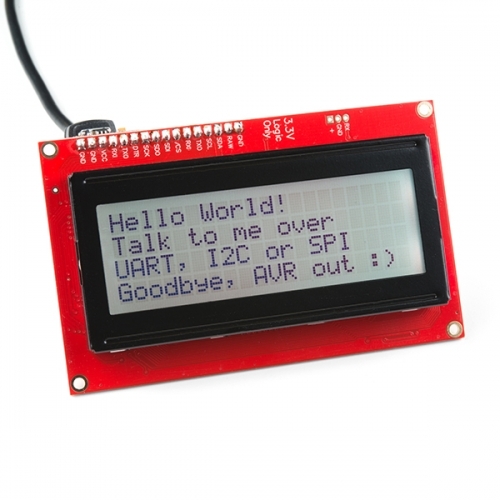 This display can now communicate in three different ways: serial, I2C, and SPI. 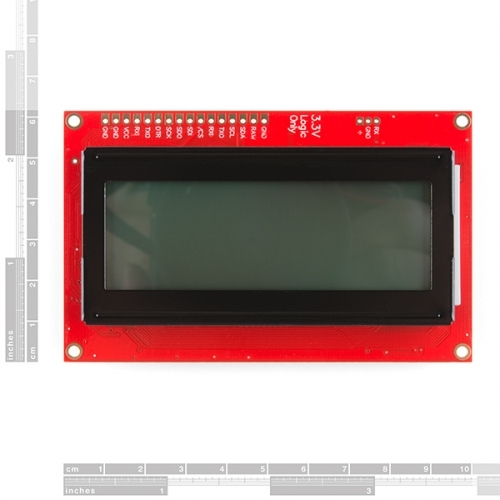 This simplifies the number of wires needed and allows your project to display all kinds of text and numbers.